TuneFab is a company that has good expertise and experience in creating video and audio converting products. Their professional team provides user-friendly and effective software to their customers. Many people wish to have greater control over the videos and digital music they rent or buy from the iTunes Store. They feel dissatisfied because they are not able to actually own the products they buy. For instance, they are unable to listen to M4P Apple Music on the device of their choice and they are prevented from creating backups of downloaded iTunes M4V movies or Apple Music. TuneFab comes to their rescue by eliminating digital rights management (DRM) protection barriers and gives users more freedom over their purchased audiobooks, Apple Music, and iTunes movies by providing them top notch iTunes video and audio converting applications. 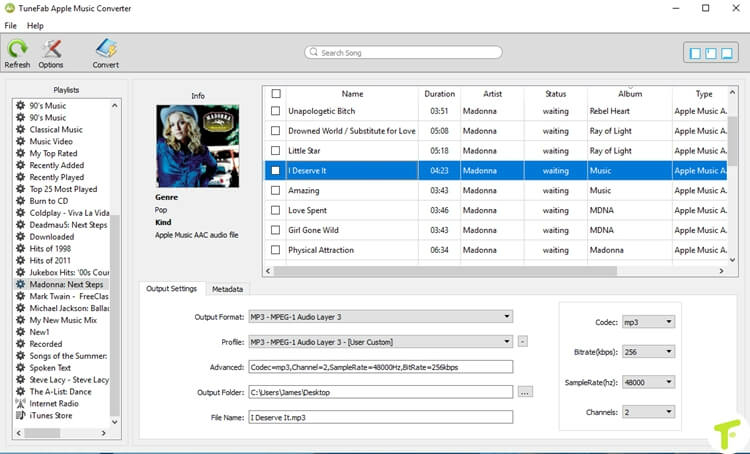 TuneFab iTunes audio converter rips Apple Music M4P files, audiobooks, and songs to MP3 so that they can be played on any device. You can gain control over the songs you buy on iTunes or Apple Music Store and convert these M4P files to WAV/AAC/MP3 formats to play them on any media player and non-Apple device. In addition, you can separate audio files from iTunes M4V videos including TV shows, music videos, and movies with high speed and good quality. Beat the DRM restriction on iTunes TV shows and movies by converting DRM-ed M4V files to DRM-free MOV, M4V, MP4 etc. without any loss in quality. The advanced M4V converting technology ensures that you get HD video with the original quality maintained. You can thus watch iTunes movies on mobile/tablet/TV now. TuneFab reviews indicate that this product converts Spotify tracks for offline playback on other players and devices with full original quality. You can download songs from Spotify without needing to subscribe to the premium version. Convert Spotify’s less common OGG format into DRM-free M4A, MP3, etc. with original quality maintained. Get around limitation on device authority by downloading and transferring Spotify playlists to popular devices such as MP3 player, PSP, Zune, iPhone, iPod etc. and play the songs offline. Convert DVD movies into more than 300 formats in quick time and play them on popular devices. You can also backup, enhance, and edit DVD movies with excellent quality. Add special effects like saturation, brightness, 3D settings, and more, and combine multiple videos into a single file. You can easily record all audio and screen activity on your computer. The advantage is you don’t need to download tons of videos as the TuneFab Screen Recorder enables you to record videos freely without limitation. Plus, you can record games and create video tutorials, and share them with others.